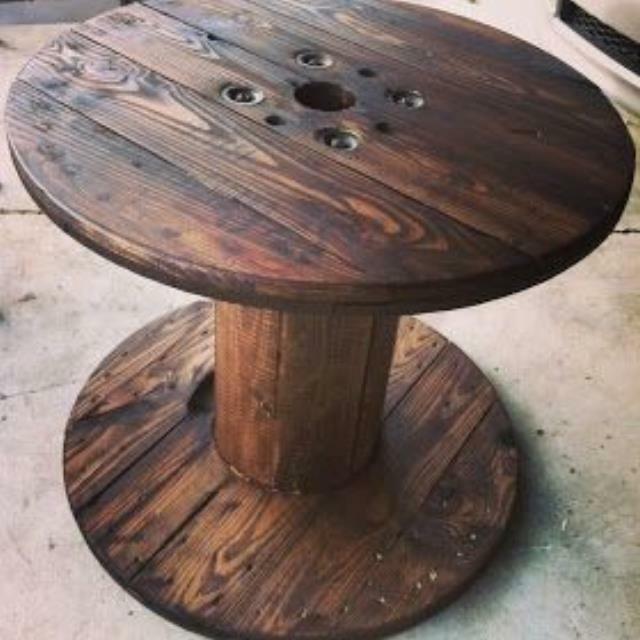 These spools are great for accent pieces. 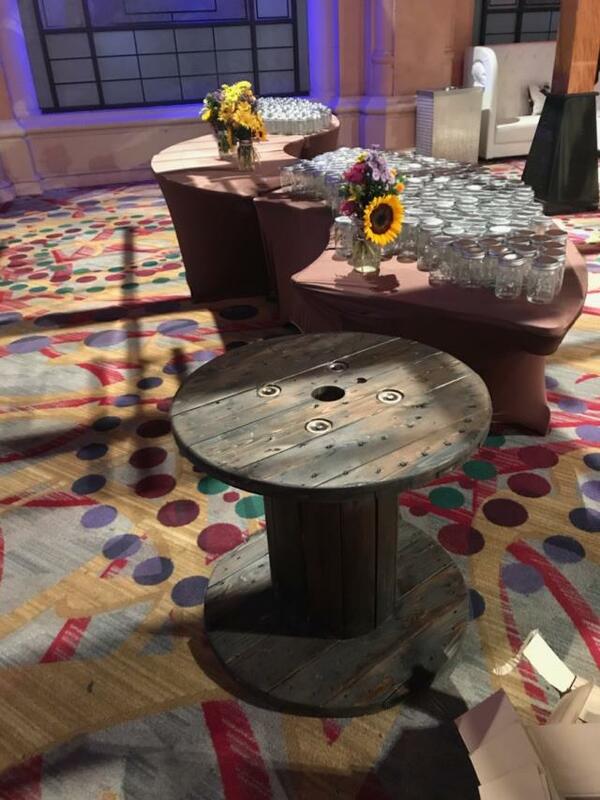 Made from re-purposed wire spools they offer a unique look for your event. Use as tables for cocktail events. Decor for farm & industrial themed parties. 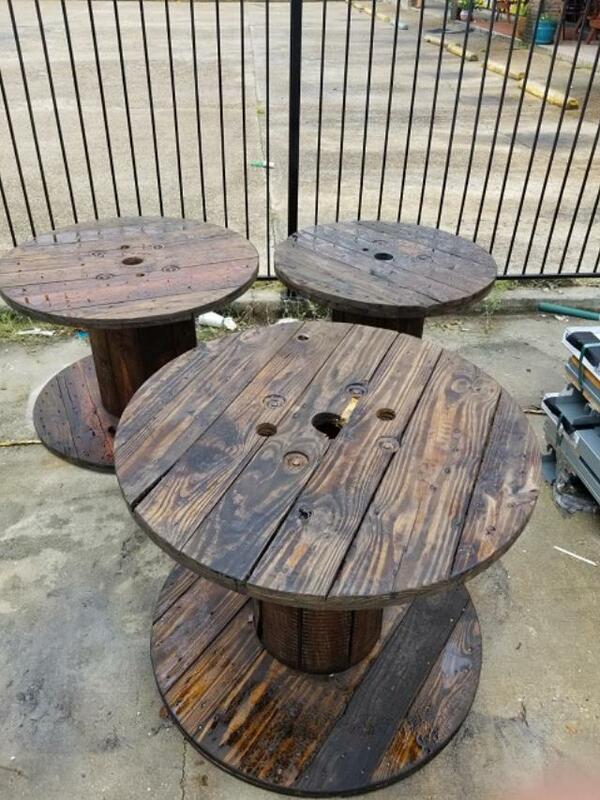 * Please call us for any questions on our table spool solid wood asst. sizes rentals in New Orleans, Metairie, Kenner LA and surrounding NOLA metro area.